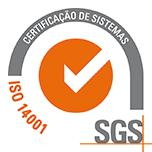 Other artists, such as, in the national sphere, Teresa Magalhães and Fátima Vaz, on a formal and technical level, explore the paths opened up by Pop, but do it by way of personal discovery, far from the teaching, at the time very retrograde and monitored by censorship, of the Lisbon School of Fine Arts, which they attended in the second half of the 1960s (Fátima Vaz started in 1964 and Teresa Magalhães in 1965). 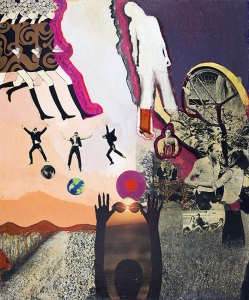 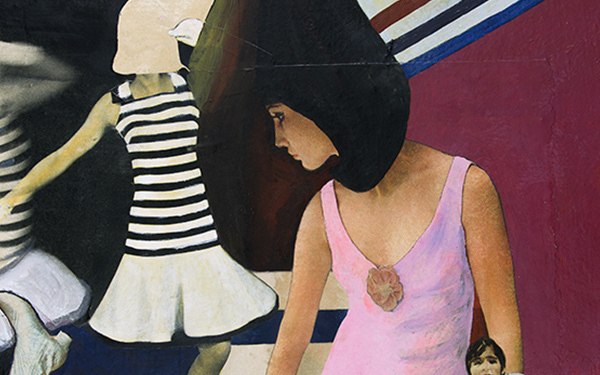 In the first works exhibited by Teresa Magalhães, dated 1967, the strong influence of Pop is apparent, with collages of magazine clippings and the use of widely-circulated images from advertising. 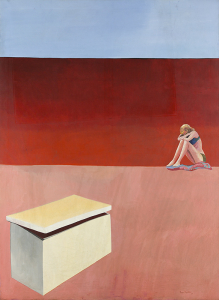 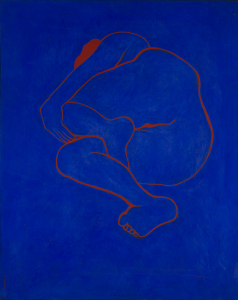 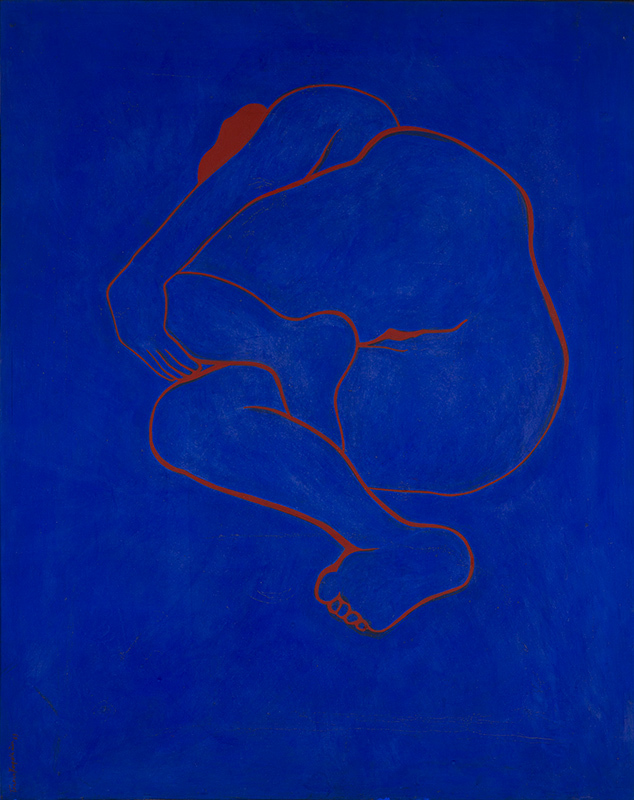 In her paintings of 1969, the painter departs from this technique to pay more attention to the representation of the human figure, as required by her academic programme, in the form of a silhouette over a blue background and in the self-representational female figure inscribed in the minimalist beach landscape. 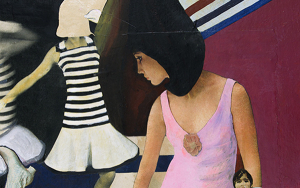 Both works use the flat painting technique characteristic of Pop. 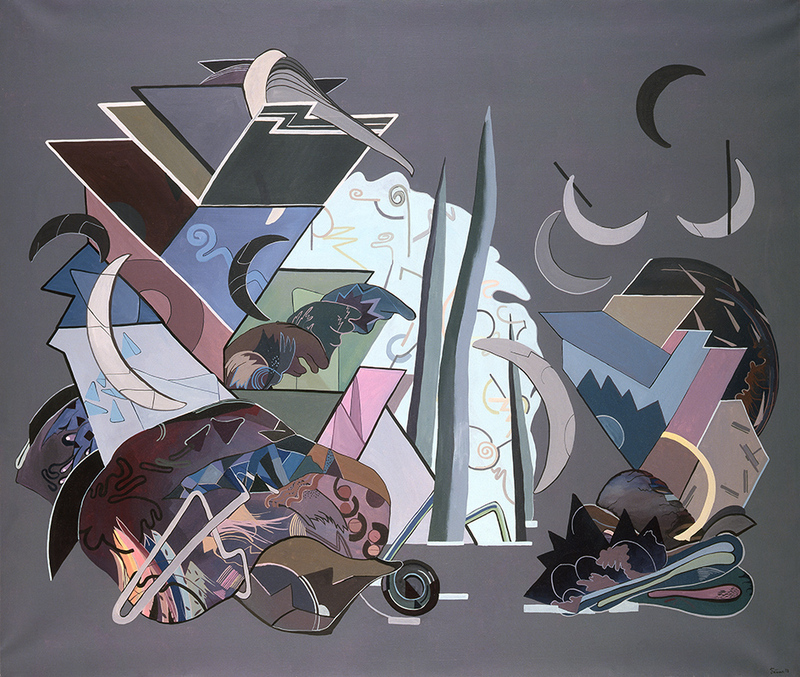 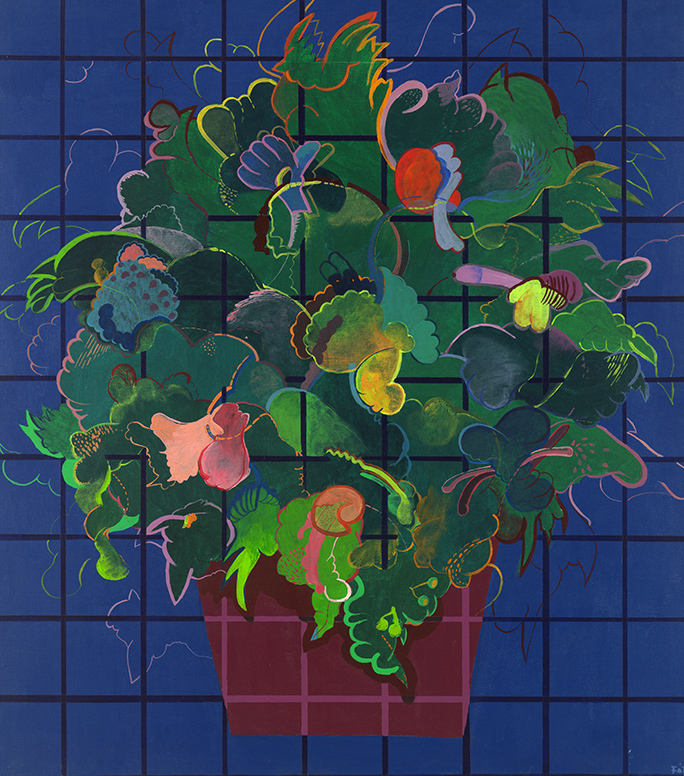 The painting of Fátima Vazoffers compositions of a very different kind, having been produced in a period subsequent to her training. The titles of her works reveal a concern with narrative, ranging from the vernacular motif of the festive use of basil placed on the classic compositional grid of sight drawing, to the ‘dwarf-inhabited boot’ with its explosive phosphorus psychedelics, to the ‘drooping mushroom’, with its broken mirrors/planes, sequinned excess and ornamental arabesques.